As you know, there are a lot of DIY lovers all over the world. DIY brings them happiness, and helps them better relax. As a famous DIY toy brand, Robotime has been advocating DIY for the past decades. And our DIY products are favored by people from many countries. Also, we got lots of followers on our social platforms. Today, let’s have a look what these people say about Robotime. This message comes from Rolife, a sub-brand of Robotime. We are so glad and honored that our DIY product can help her forget the pain. This note makes us feel what we are doing is really meaningful. Wish you all the best, Delia. This is another one. We were deeply touched when we saw this thank- you note in our fans group, because it is exactly why we are fighting in the DIY field. To help people better relax. All we want to say is: thank you Norman, thank you for sharing with us. We are so proud and happy for you. This conversation comes from Rokr, another sub-brand of Robotime. We were really surprised when we saw this comment on our Facebook page. A six and half year old kid can actually assemble the clock kit. Unbelievable. So proud of the kid! This review comes from Amazon. 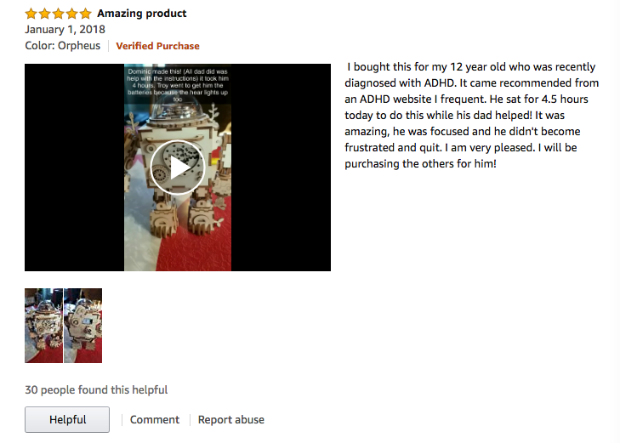 Never thought of our products having such magic on people with ADHD. We are so glad that our product can help her son focus attention. Thanks so much for this mommy’s sharing. We would like to do something more for people in need. If you have any ideas, please contact us via: service@robotime.com. 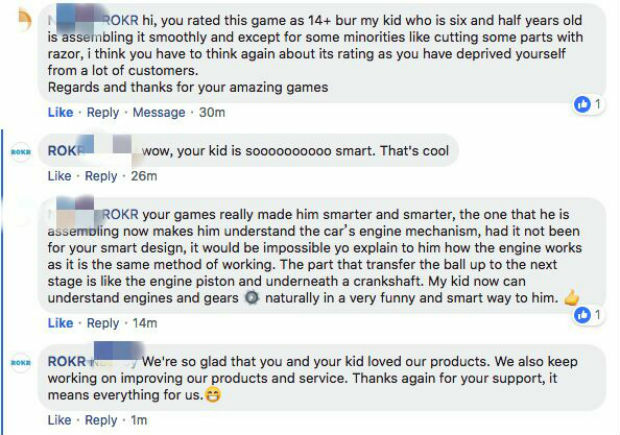 Certainly, these are just a few of reviews and messages we got. How about you? What would you say about Robotime?